Dubai means many things to many people. There is the Dubai of the Burj Khalifa, of seven-star resorts, of drunken western tourists and of rich young Arab men with expensive cars and pet lions. There are the vibrant neighborhoods of Dubai’s largest diaspora communities, where you are more likely to hear people speaking in Urdu, Hindi, Tamil or Malayalam than Arabic or English. As Dubai officials are happy to remind people – the Emirate is home to nationals of almost 200 countries. But the last thing one would expect to find in Dubai is North Koreans. 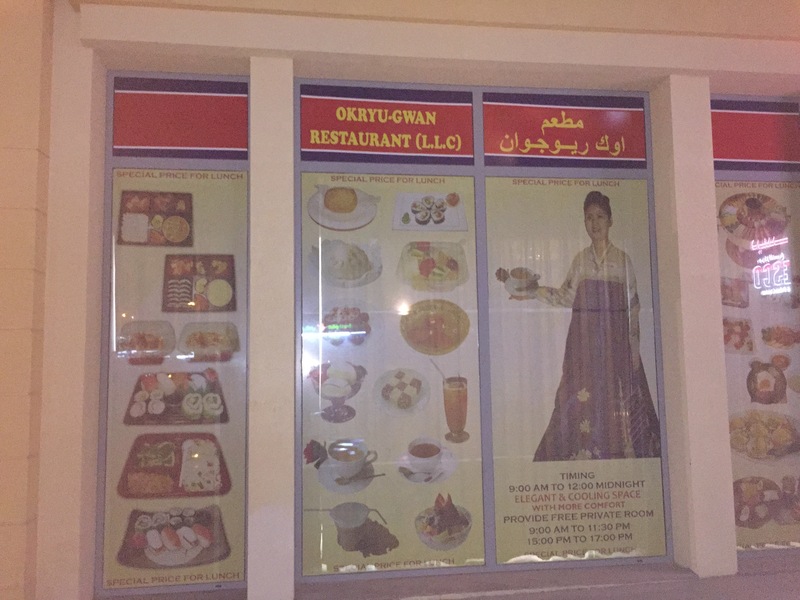 But as my girlfriend and I discovered, they’re here – running a bizarre, slightly creepy, but rather charming restaurant named Pyongyang Okryu Gwan in Deira, a crowded neighborhood of old Dubai separated from the rest of the city by the Dubai Creek, just south of the neighboring Emirate of Sharjah. 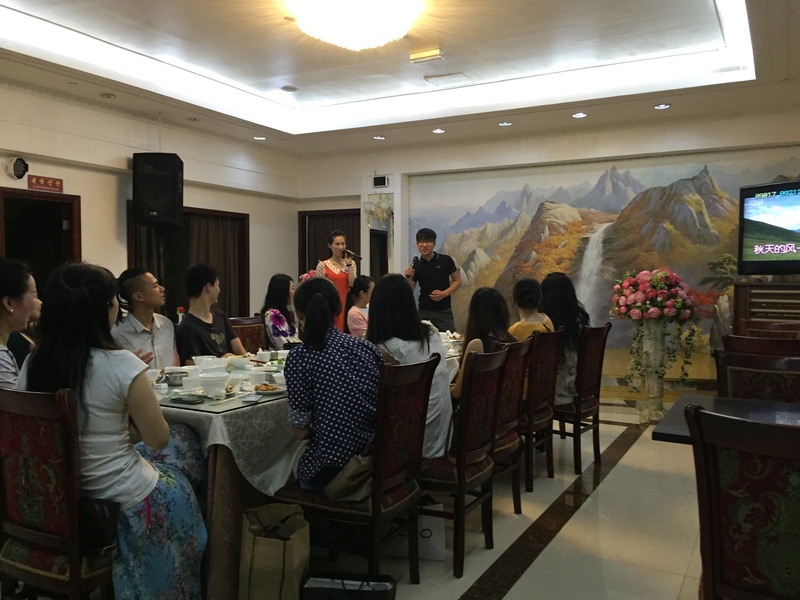 The restaurant is owned and operated by the North Korean government. 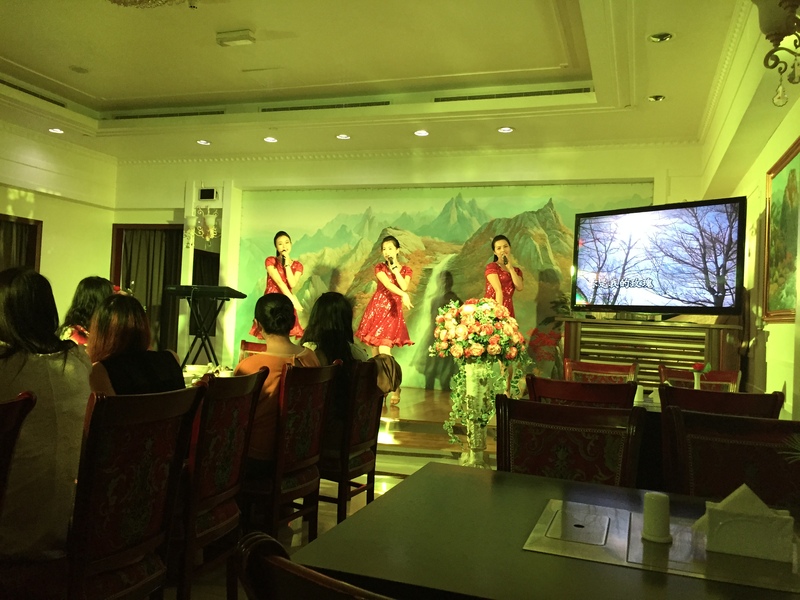 Despite the reportedly pleasant atmosphere of the Pyongyang location, recently refurbished to feature “a blend of traditional and contemporary flavors and a harmony of elegance, grandeur and elaborateness”, the KCNA fails to mention that members of the North Korean public must obtain tickets from their work units to even hope of eating there. Nor does the KNCA mention in its colorfully worded dispatches that the original designer of the restaurant, Ahn Young-gi, was later convicted of espionage in South Korea, where he spent 38 years in prison as an unrepentant, loyal supporter of the North Korean regime. The foreign branches, which exist in a number of Asian countries as well as Russia, the Netherlands and the UAE, are reportedly also obligated to send money back to cash-strapped North Korea. The Dubai version is everything one might expect from the government of North Korea. The exterior is nondescript, with the colors of the North Korean flag flying proudly over photographs of some of their signature dishes, with the promise of an “elegant and cooling space” with private rooms available. Once inside, visitors are greeted by extremely friendly, rather attractive female staff, who all have been apparently dispatched from Pyongyang for this important duty. In one corner, what appears to be state-television ran on an endless loop, showing scenes from Korean history and idyllic looking shots of mountains, agricultural areas and waterfalls. Similarly, the walls are adorned with oddly beautiful paintings of mountains and tigers, but – sadly – no pictures of the Dear Leader. Aside from the two of us and a handful of Arab men lounging in a backroom, the clientele was entirely teenage Koreans out for a night of karaoke. The real treat, however, beings at Friday at 8 PM when the live show begins. 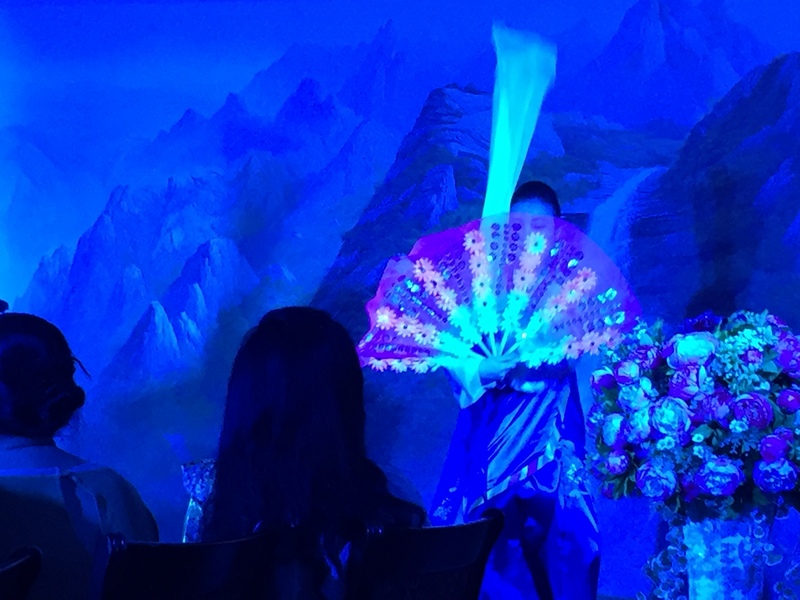 As one expects from a country that manages to organize perfectly choreographed “mass games” in national stadiums, the North Korean staff members in Dubai have an entire song and dance routine, replete with wardrobe changes, fans, and lights that change color. The staff proved to be surprisingly well-coordinated, and it’s actually quite a good show. 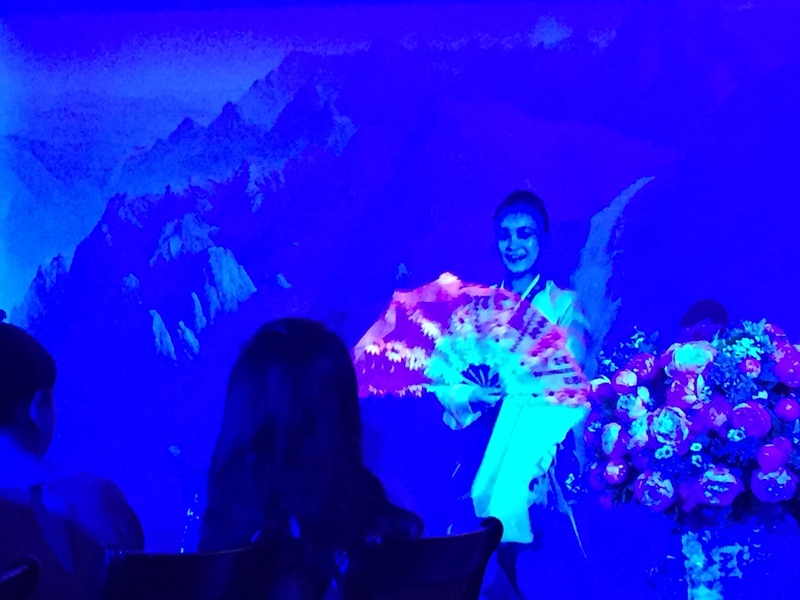 Overall, if you’re in Dubai and looking for something completely different, the Okryu Gwan restaurant is well worth a visit. The food also happens to be outstanding, with a variety of noodle-based dishes and BBQ options. 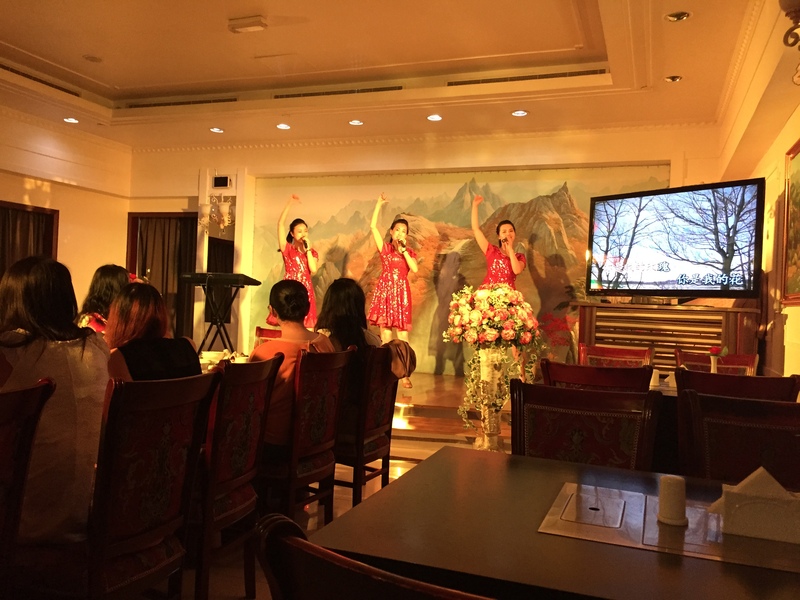 Tags: Bernie Debusmann, Deira, Dubai, North Korea, North Korean Restaurant, North Koreans in Dubai, Okryu Gwan restaurant, The North Koreans of Dubai, UAE, United Arab Emirates. Bookmark the permalink. FABULOUS!! How did you find this place Bernie? Hi Rachel….heard talk of it from people in Dubai and set out to look for it. I wonder what kinds of prices they charged? Hey Blaine – don’t remember the prices exactly, but by Dubai standards it’s very, very reasonable. A similar sized meal at a generic “Korean” restaurant in Dubai – which are all pretty upscale – would have cost me probably triple. This story is very entertaining.